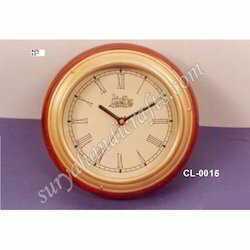 Wrought Iron Round Watch offered is available in seamless smooth wrought iron finish featuring use of bright appealing colors that enhance the visual value and attraction of this exclusive handicraft. This beautiful designed clock comes with glass dial in big Roman letters so as to provide an antique look and feel to the walls. 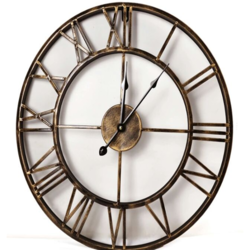 Iron made Vintage Roman Dial Round Wall Clock from Interio Crafts. Wall clocks made of wrought iron in contemporary designs and painted in vibrant colours.